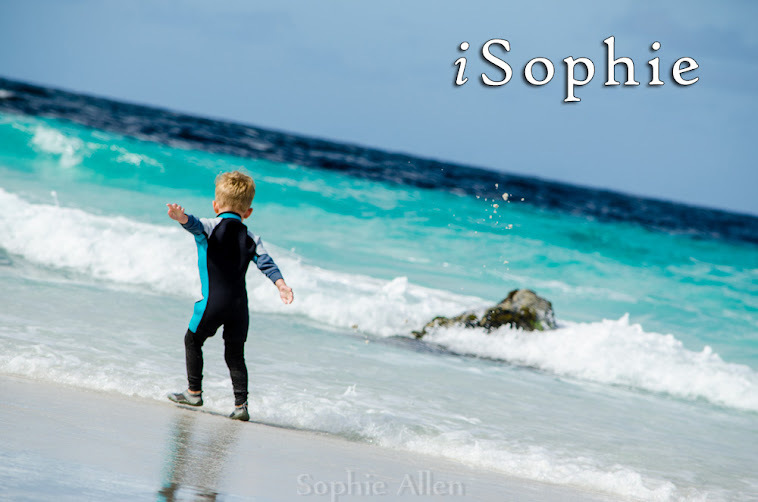 iSophie: A taste of my own medicine. But it's very very sweet, delicious, and extremely pretty! Well, to start with. It won't be in house form for long. Every year I make Gingerbread houses for class teachers and close friends. One friend in particular decided to 'get me back' this year with a gorgeous short bread house! She knows I take a fair amount of time to make the houses, (though I have it streamlined now from 4 years of production), and wanted to show her appreciation by making us a house of our own. We do make a gingerbread house for ourselves after all the rest are finished and delivered, but by that stage it is usually slapped together hastily without much care to the sturdiness of the foundations or the placement of lollies. Plus Legoman doesn't even like lollies so he doesn't let me put very many on. So here is our own house to admire, at least until Christmas, and then it's hours are numbered! A huge thank you to... well, you know who you are! You really shouldn't have, but thank you!! It's massive too, here it is sitting on an ironing board (to give you an idea of the scale). On similar matters, I have made 2 gingerbread houses so far, and will post photos, my recipe and template instructions for those that may be interested. Including instructions on the stain glassed window affect I use. If you have enjoyed reading this and/or my photos, please subscribe via email at the top of the page, and one day when I work out how to actually use Feedburner you will get updates in your inbox. Then head over and like my Facebook page. And then... follow along at Twitter too! If you do all of this you will get a pony*. *no actual ponies will be distributed.